Its the time of day that is feared by many. It takes dexterity, athleticism, and cleverness to make it out alive. That's right, its time to pick up your child from school. Thankfully, Spider-Man has my back when I pick up my daughter from elementary school. The parents who believe their suburban tanks are to be driven like sports cars are no match for this superhero. I hope you have one to guard your back as well, you never know when they will save your life. 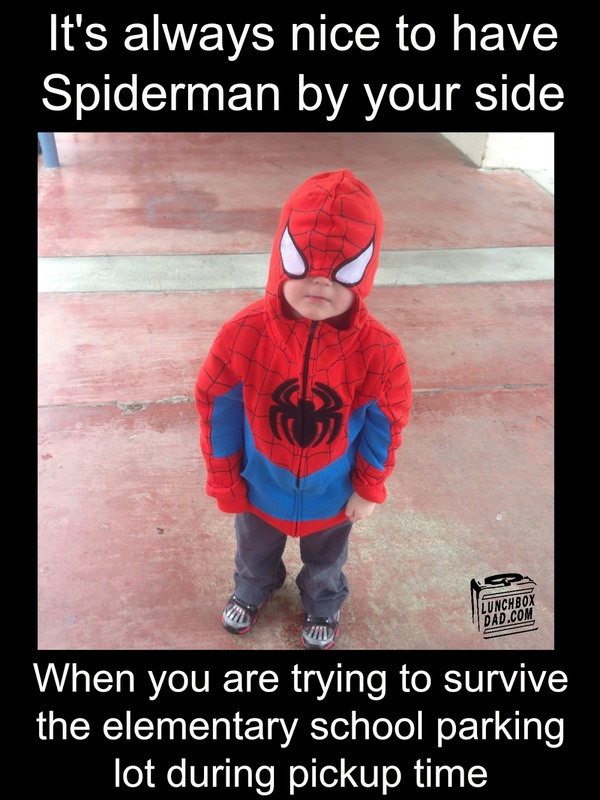 Be safe, never leave home without your superhero!